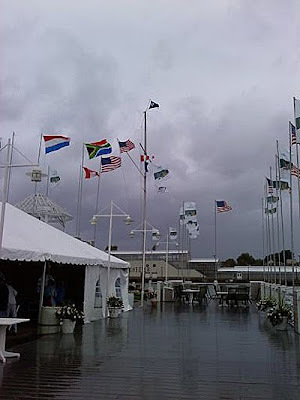 Rochester, NY: Racing was cancelled today at 8:30am due to high winds here in Rochester, NY at the US Sailing's Rolex Women's Keelboat Championships. We woke up this morning to rain and winds, already gusting into the high 20kt with the forecast for it to get windier throughout the day. Racing will resume tomorrow at 10am with at least three races scheduled. It was unfortunate that we couldn't get racing in today, as it always feels better to get the races started, but we can't control the weather. Tomorrow's forecast is for the wind to be around 10kt, so it should be a very pleasant day for sailing. The team is using today as a chance to relax, in order to get ready for the rest of the regatta and our upcoming busy schedule of events in the rest of this month and November. The event has a dinner scheduled tonight at the Eastman House. The Eastman House is the International Museum of Photography and Film, and combines the world's leading collection of photography and film with the stately pleasures of the landmark Colonial Revival mansion and gardens that George Eastman called home from 1905 to 1932. The Museum is a National Historic Landmark. Mr Eastman, the founder of Easman Kodak Company, is heralded as the father of modern photography and the inventor of motion picture film. The event should be very cool and we are looking forward to seeing the museum. I will write a report tomorrow night about how the day went. They will also have live tracking that you can follow on the event website . I would like to thank Carmeuse for their continued support of my campaign for the 2012 Olympics in London. 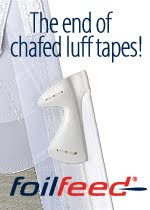 I would also like to thank Gill and North Sails for their support of our team for this event.